Richard Rothstein has long been the go-to scholar for journalists writing about segregated schools. In books like “Grading Education: Getting Accountability Right” and “Class and Schools,” he sounded the alarm about the harm done by segregating children by race and socioeconomic status. Recently the Economic Policy Institute research associate has turned his attention to the forces that caused much of that school segregation. He blames government policies that created racially segregated neighborhoods through much of the 20th century. Two strands of federal policy created and maintained segregated housing, including in neighborhoods that had previously been integrated, he said. One was construction of separate public housing for whites and blacks. The other was promotion of whites-only subdivisions. Segregation also was protected with restrictive deed covenants that prohibited the buyer of a home from subsequently selling it to a non-white family. 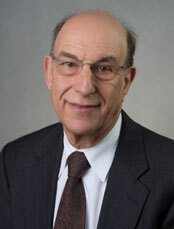 For decades, Rothstein said, government officials and university legal departments used their clout to enforce those restrictions.